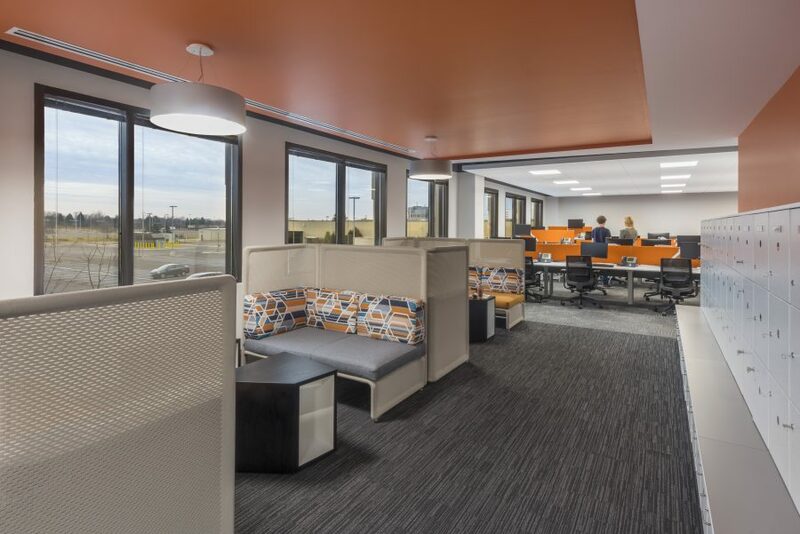 Wright Heerema Architects quickly designed this undisclosed financial client’s new facilities in Arlington Heights, IL to satisfy the company’s need for an ever-evolving, agile workplace. 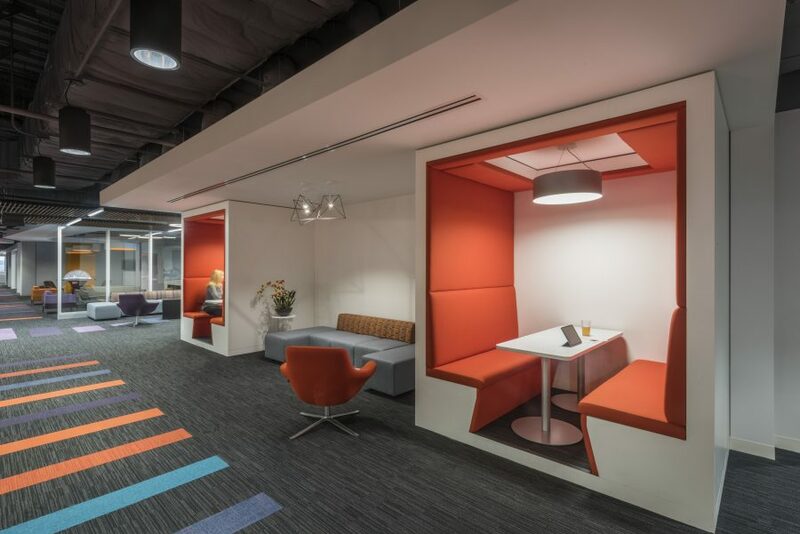 For them, this meant following a set of guiding principles that laid the foundation for building a better office environment through active collaboration, and self-organizing, cross-functional teams. 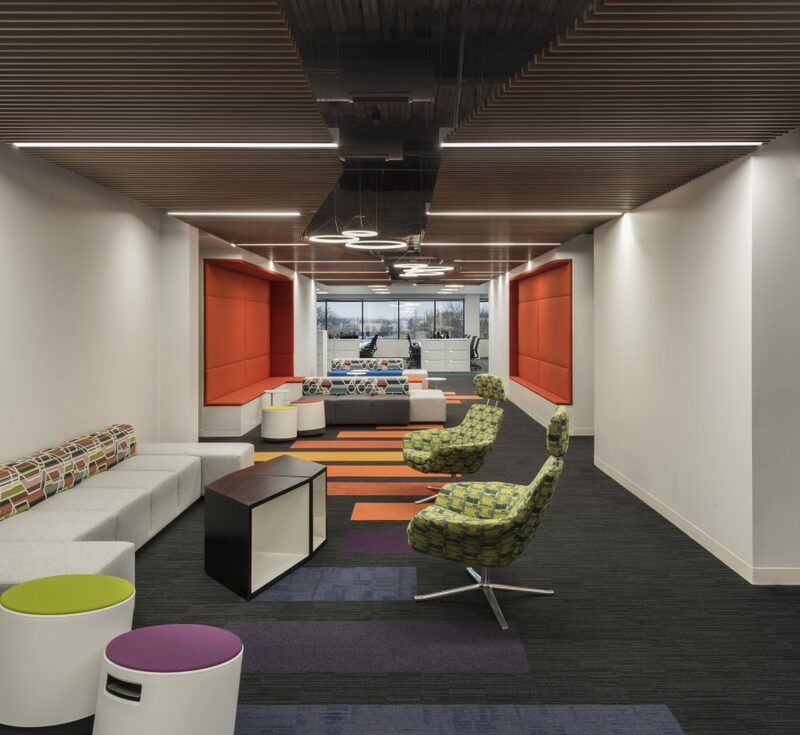 WHA helped this undisclosed financial client design an open and agile environment perfectly reflective of the company’s positive, forward-thinking and diverse mindset. “Main Street” serves as a testament to this approach. 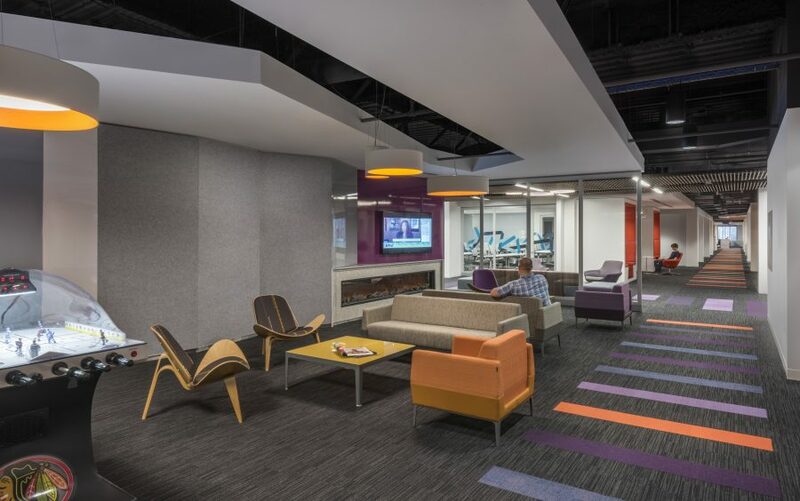 It is a vibrant huddle area along the office’s main walkway where employees can gather, socialize, or escape to when they need a change of scenery or are looking for inspiration. 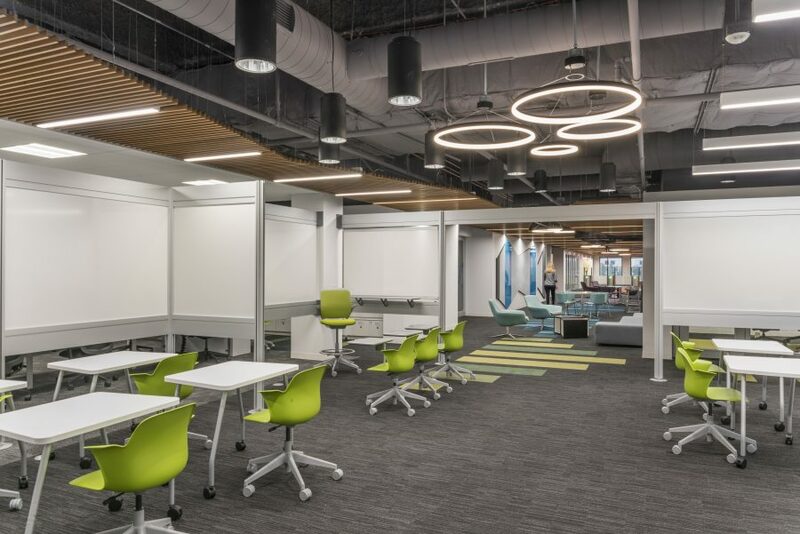 This space offers long-term flexibility because of its many focus areas that, if needed, can be converted to private offices or additional workstations as the company continues to evolve. 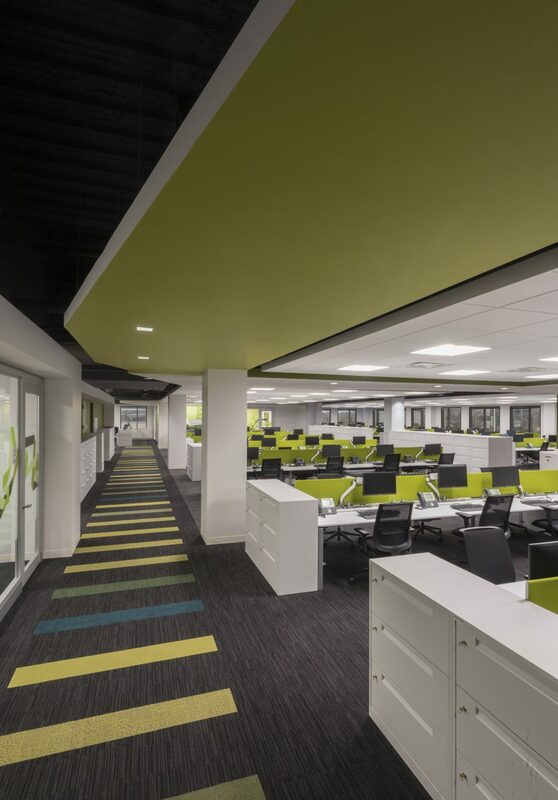 The project’s success is attributed to WHA’s quick turnaround and ability to meet all of the client's organizational goals while staying on budget.